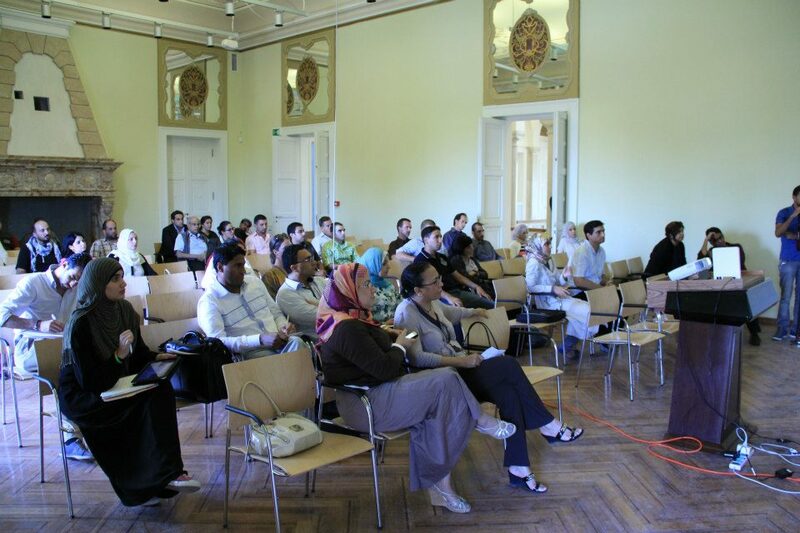 In August 2012, the NLF embarked on a two year-long campaign to promote a Libyan constitution making process that is open to all. The campaign brought civil society around the country together to demand a transparent, inclusive and participatory constitution making process, successfully entrenching these principles into legal guarantees. Constitutions, like laws, need to be accepted, respected and ultimately adopted by the public in order for the principles therein to be successfully enforced. This is especially important in a country like Libya which has a weak government, and a limited ability to enforce laws. The public must play a significant role in adherence to this social contract. A Constitution is the social contract between citizens, and the more people that participate in its creation, and ultimately endorse its content, the more people willing to voluntarily comply with it – transforming it from a mere document to a functioning social contract. It is to that end that the NLF has made the constitution making process a primary cause in our capacity building work. 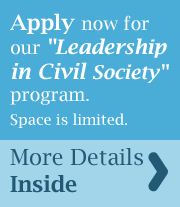 The Civil Society Constitution Initiative is central to our success. The Initiative began with a Manifesto that was drafted by forty five organizations from twenty two cities in September 2012 (see the Manifesto below). Drafting was guided by Ms. Najla Elmangoush USIP Country Director, and Mr. Jason Gluck, then the director of USIP’s Constitution Making Program, and currently the Constitutional Focal Point for the United Nations Department of Political Affairs. The Civil Society Constitution Initiative won a $100,000 grant from the Jolie Pitt Legal Fellows Foundation, enabling us to hire a JP Legal Fellow, Mr. Salam Tekbali, as as program manager. Next came the task of gaining broad support for the Manifesto. New Libya Foundation founded and coordinated a working group of five, including Ms. Hiba Khalil from 1Libya, Ms. Rania Swadek from USIP, Mr. Alaa Elghanbour from H2O, and Mr. Salam Tekbali from JPLF. Together, we worked for over a month to identify the most active and effective organizations throughout Libya. By using a list of over 1000 Civil Society Organizations (CSOs) registered by the Ministry of Culture and Civil Society, we began to call and interview the founders of each organization in over thirty cities and towns. We then referred to various INGO’s, local organizations and civic leaders for their recommendations. This extensive interview and rating process was lead by the working group, and three dedicated volunteers, producing twenty-two finalists that were invited to Tripoli in January 2013 to officially launch the Civil Society Constitution Initiative. Together, these organizations worked to gain broad support for the demands of the manifesto, which toured twenty-two cities, and gained the signatures of over eight hundred organizations. The Manifesto was ultimately featured on The Voters Guide, an online platform revealing the positions of Constitution Assembly election candidates on the most critical issues in the constitution. The guide was completed by more than half of the candidates, all of which agreed to adopt the manifesto if elected. The principles of the manifesto were fully adopted by the Constitutional Drafting Assembly in May 2014. We, the undersigned Libyan NGOs, call upon the National Congress to amend, clarify, and define Libya’s constitutional roadmap to ensure the constitution making process is inclusive, transparent and participatory and achieves the goals of Libya’s democratic transition. We congratulate the newly elected National Congress members, who have been honored with the responsibility of overseeing this next phase of Libya’s democratic transition. No single event during this period will be more important to defining Libya, as a nation and a people, and cementing Libya’s democratic foundation than the forthcoming constitution making process. Constitution making is an opportunity for national dialogue. In this time of transition, Libya requires a constitution making process that achieves more than a new constitution. By turning the constitution making process into a national dialogue, Libyans can come together and discuss the most fundamental national issues and concerns. In so doing, we can strengthen and promote a common sense of belonging and national identity; reach agreement on core national values; build trust between communities through dialogue and help Libyans better understand and appreciate their fellow citizens; educate and empower citizens on the principles and practice of democracy; and provide a framework for negotiation, reconciliation and conflict resolution among political forces and communities. Inclusiveness, transparency and participation will contribute to a constitution that better reflects the needs and aspirations of the Libyan people. An inclusive, transparent and participatory process will also symbolize Libya’s break from its tyrannical past and illustrate the entire nation’s commitment to a new era of democracy. Inclusiveness, transparency and participation will increase the legitimacy of the constitution itself, as all the people whose voices will have been heard, will have had a hand in writing it, and will therefore own and respect it. We all know difficult compromises will have to be made on potentially divisive issues; the stability and harmony of the nation will be well served if the people better understand the complexity of the issues, the options that are available, and the reasons certain decisions and compromises are made. Inclusive Constitutional Assembly. A Constitutional Committee that is elected or selected in an open and transparent manner and reflects the diversity of Libya, by including geographic diversity, as well as civil society, women, youth, and minorities. In addition, the Constitutional Assembly should be comprised of academics, professionals and experts in law, economics and other social and scientific fields. • Robust civic education, which should be conducted by constitution making officials and civil society. Civic education should begin before the constitution drafting commences in order to permit even citizens that have been previously marginalized to understand the key issues and participate in the constitution making process. Civic education should educate the public about the constitution making process itself, Libya’s constitutional history, the roles, functions, and importance of constitutions, why participation is important, and key constitutional issues – thus enabling and empowering people to contribute to the constitutional discussion. Civic education should continue throughout the constitution making process; for example, after the Constitutional Commission presents its first draft, civic education initiatives would ensure that people understand the issues and present informed opinions. And civic education should continue after the constitution is adopted, so that people will fully understand their constitutional rights and begin to put them into practice. o Conduct consultations in various forms in order to reach the most people. Different communities will engage in consultations differently. Some may prefer public forums, while others may prefer private hearings or written communications (for example, via a web site). Constitution making officials should consider different forums in order to make the process accessible to as many people as possible. o Establish a system to document and analyze citizen input. Consultations should be recorded to ensure accuracy and integrity and public inputs should be analyzed, collated, and compiled into a report and presented to the Constitutional Committee for its consideration. o Communicate in a public report the process of public consultations and how public input was used. The Constitutional Committee should produce a report alongside preliminary and final constitutional drafts. The report should set forth how public inputs were utilized and considered by the Constitutional Committee and, particularly in the case of divisive matters, why certain constitutional choices were made. • Open and publicized sessions. Public access to the plenary sessions of Constitutional Committee, through live television and civil society and media attendance. We realize there may be occasions when closed sessions might be necessary and appropriate, but such situations should be exceptional. • Key documents available to the public. Public access to constitution making documents, including the Constitutional Committee’s rules of procedures, minutes of meetings, the record of public inputs, constitutional drafts, and Committee reports. A web site should be designed and maintained for this purpose. • Regular media briefings. Weekly briefings to the media and public by Constitutional Committee officials and other members of government and/or the National Congress. • Committee website. A web site that keeps the public up to date on progress of the Constitutional Committee and allows the public to interface with the Constitutional Committee. • Historical record. A historical record, through recording Constitutional Committee proceedings and preserving constitutional documents and records, which can be archived for posterity and used should future constitutional reform be necessary. Guarantee for sufficient time to uphold principles. A transparent and participatory process will take time – certainly more than the four months currently allotted under the NTC’s Constitutional Declaration. Based on successful experiences in other countries, a year is likely the minimum needed to educate and consult with the public, as well as research, discuss, negotiate and draft complex and potentially divisive constitutional matters. Preliminary civic education campaign should enjoy at least three months, and that there should be a similar amount of time for civic education and consultations on the first constitutional draft. Finally, education and preparation for the national referendum to confirm the constitution should enjoy more than one month. Enshrine guarantees, responsibilities and timeline in law. All of this should be set forth in a constitutional roadmap promulgated by law, decree or regulation clearly defining the phases, principles (including transparency and participation, as set forth above), and timing of the constitution making process. It should explicitly permit and support civil society in conducting civic education and consultations, and should establish funding sources and budget allocations. Civil society is eager to partner with our leaders in the National Congress and Constitutional Committee to produce a new constitution that is truly owned and respected by the entire nation. We applaud the National Congress for the great role it has to play in this historical moment, we as civil society stand ready to do our part to see to it that the dreams of Libya’s revolution are realized and that the benefits of a transparent and participatory constitution making process are achieved. Benghazi: Abdullah Mutardee, President of Benghazi Civil Society Coalition, Reema Bunkheila, Secertary of Benghazi CSOs Coordination Office, Zahia Attia, women’s rights activist. Thank you to Huda Abuzaid, Hythem Elghoul, Khadija Ali, Omniya Tayari, Alaa Elghanbour, Salam Tekbali, Mazigh Buzakhar, Rania Mhani, and Nelufer Elbadri for organizing the events leading to the drafting of the manifesto. A very special thank you to the 800+ organizations that signed the manifesto, and promoted it in their communities.